We are proud to present our stunning collection of French style and shabby chic furniture, this exquisite antique French style console table. 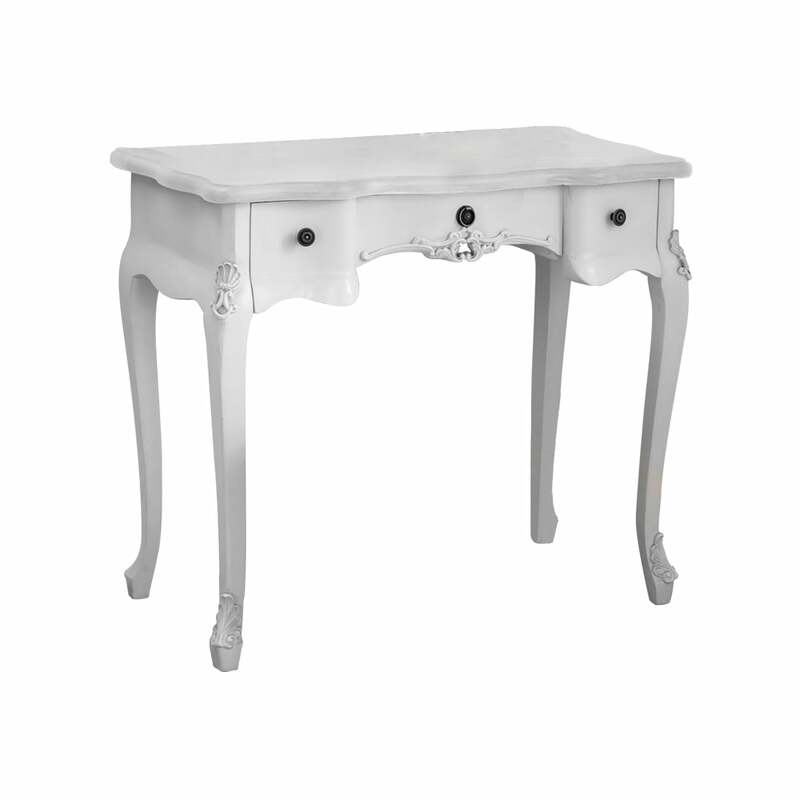 Finished in a luxurious antique white, this dressing table features distinctive ornate detailing to brighten up any room in your home. Handcrafted by experts, this fine console table is a very practical addition to our furniture collections and will work wonders in a variety of settings.